Data encryption is not a security safety net, but it is your last line of defense against malicious attackers or disgruntled company insiders. When cyber criminals steal your information, encryption may be the only thing standing between the attacker and all of your highly valued data. While rendering your data unreadable to the outside may benefit you in the event of a stolen VM, it is also your first security barrier which serves to protect against potential threats. [click to tweet] By encrypting data that goes in and out of your company, any malicious hacker spying on the communication won’t be able to pick up and copy the information as easily as if it were in plain text. 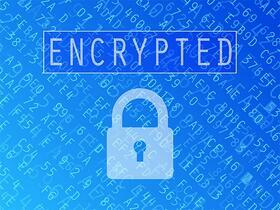 Encryption also stops the spread of malware by restricting access to other points across your network. While it may just be easier to skip data encryption altogether because managing public and private keys can be challenging, it’s never a good idea to ignore it completely. Take a “better safe than sorry” approach and allot the necessary time to train all employees in your company’s security policies. Once your initial data encryption is set up, you can’t just forget about it; it requires persistent maintenance and attention to keep up to date. At WEI, we consult with companies often about data privacy, the benefits of encryption and how to identify threats to protect your business. 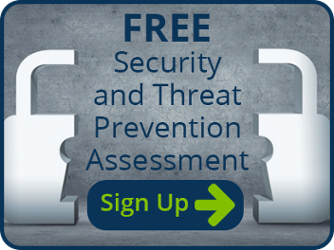 If you’re interested in ways we can help improve your cybersecurity defenses, check out free Security and Threat Prevention Assessment and contact our security experts today.